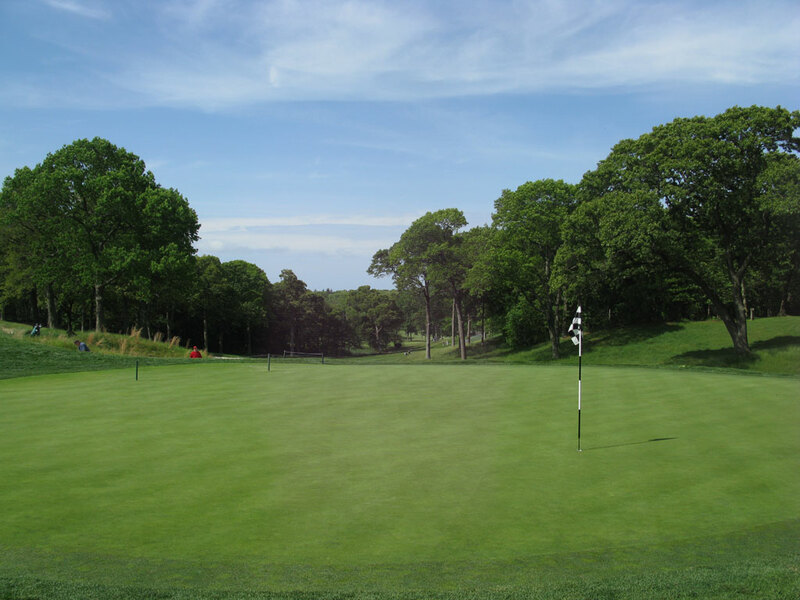 Course Website: Official Website - Visit Bethpage State Park (Black Course)'s official website by clicking on the link provided. 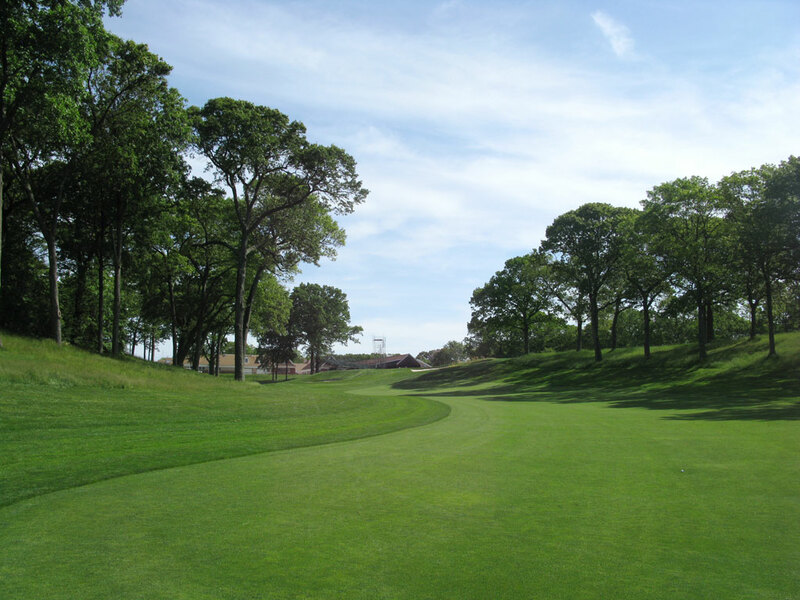 Accolades: Ranked 5th in New York on Golf Course Gurus' Best in State list. 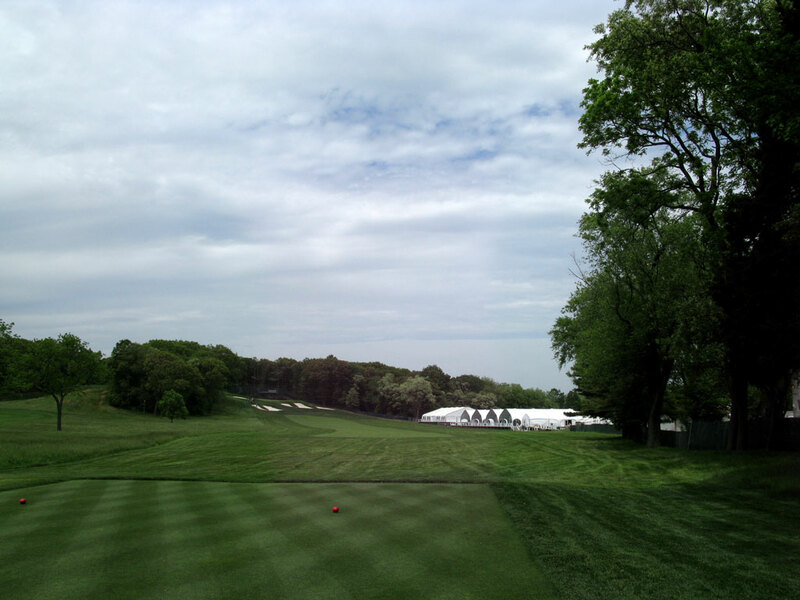 What to Expect: The first thing you should expect at Bethpage Black is a high score. This is one of the best and most challenging layouts the U.S. Open (2002 and 2009) has ever featured. I mean c'mon, this course features one of the most famous signs in golf: WARNING - The Black Course Is An Extremely Difficult Course Which We Recommend Only For Highly Skilled Golfers. If that isn't a good enough reason to know what to expect then I don't know what is. The course is one of the best parkland layouts in America and features some beautiful Tillinghast bunkers, just one water hazard, long rough, and big trees. Where the Black course lets its guard down is on the greens; as a group, they have got to be the flattest greens a Top 100 course has ever boasted. The Black Course is a special track and delivers one of the few times that Joe Public can tee it up on a U.S. Open layout. 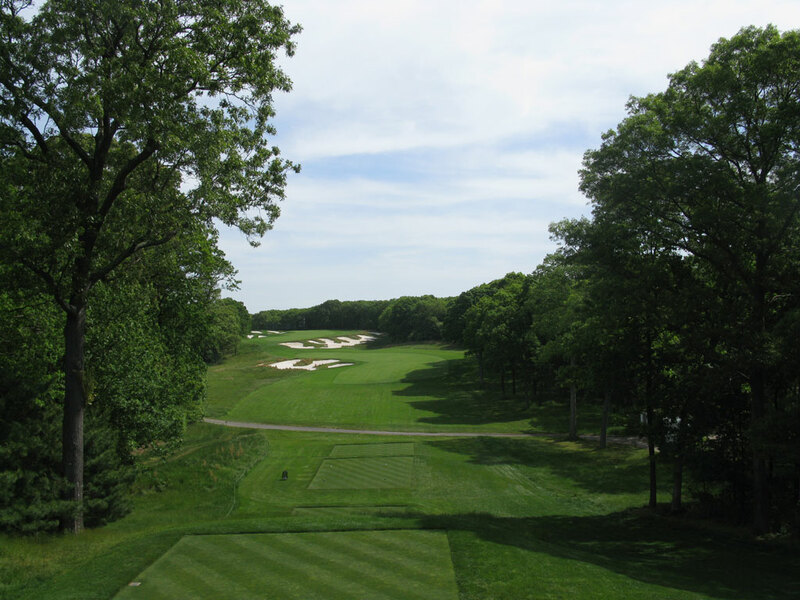 Signature Hole: 4th Hole – 517 Yard Par 5 – With the trees framing this beautiful fairway that features criss-crossing bunkers and plays uphill on this double dogleg, it is no doubt that the impressive par five 4th hole at Bethpage Black is the signature hole of the course. Best Par 3: 8th Hole – 210 Yards – and 17th - 207 Yards - I just couldn't decide which par three was better so I am featuring them both. 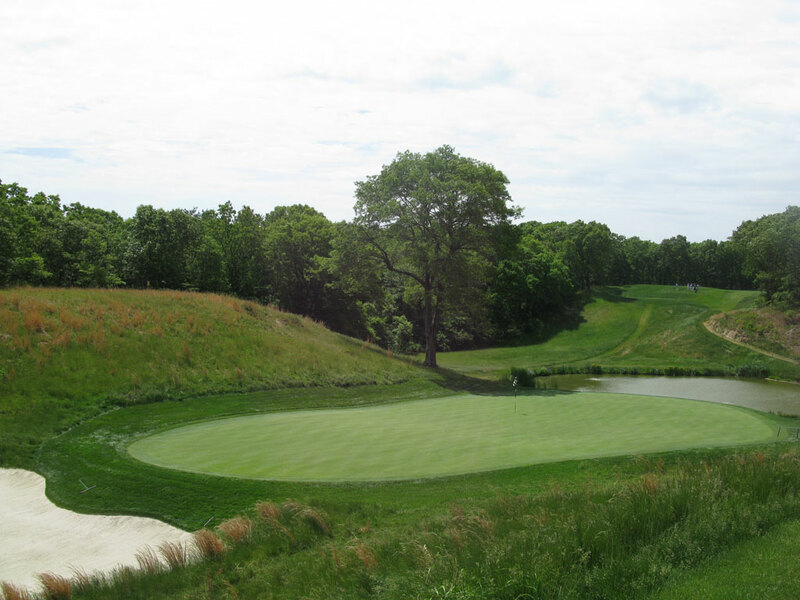 The downhill 8th hole boasts the only water hazard at Bethpage Black in the form of a pond that sits short of the green while a lone tree on the right grabs the golfer's eye and seems to have a gravitational pull on tee shots. The 17th hole is the most bunkered green on the course and turns the putting surface into a virtual elevated island. It is an attractive and intimidating view from the tee which makes it all the more rewarding if you can walk away with a par. 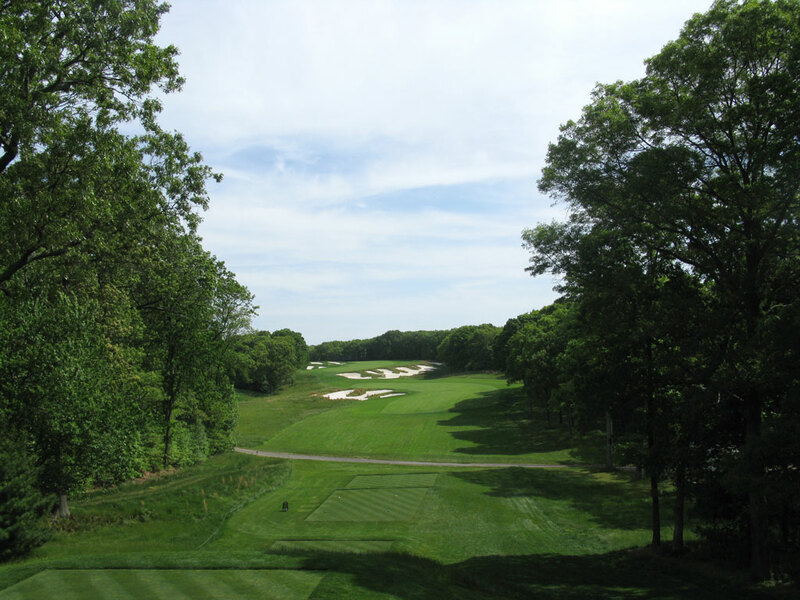 Best Par 4: 5th Hole – 478 Yards – A double dogleg par four is a fairly rare treat in golf and the 5th hole at Bethpage Black is the best example I've ever played. 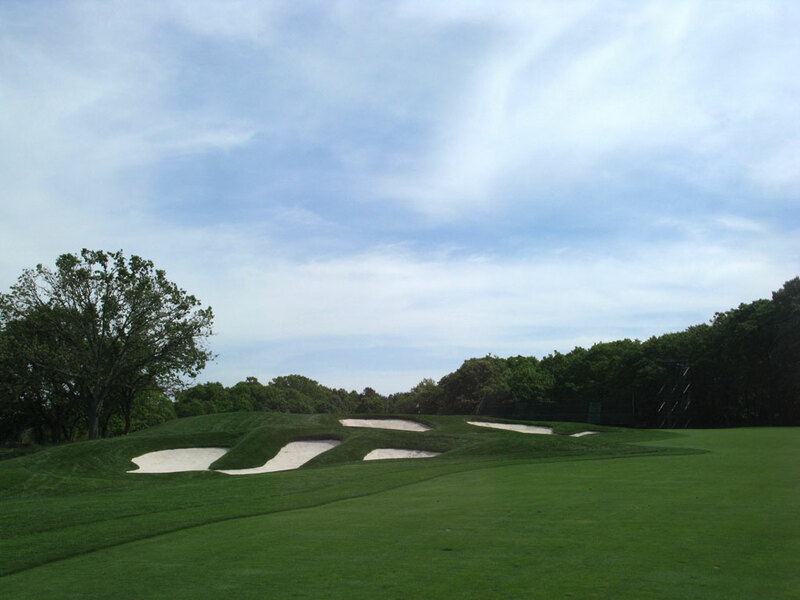 The fairway slopes left to right while a large bunker and trees await a tee shot that travels too far to the right. A tee shot up the left side may shorten up the hole but it also will partially block the green and require a high draw into a well protected green. It is a fantastic hole with options, risks, rewards, and beauty; all of which combine to make one fine hole. 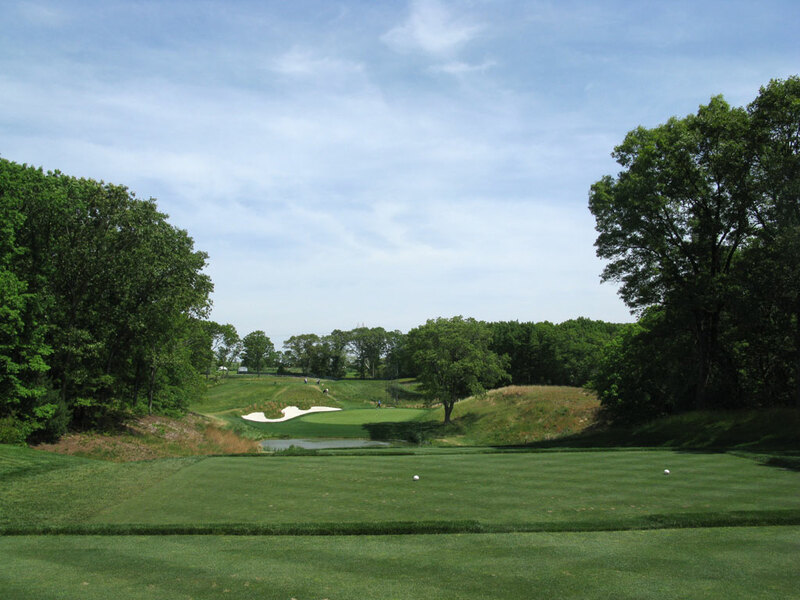 Best Par 5: 4th Hole – 517 Yards – Many critics call this hole Tillinghast's best par five design ever and I concur. The bunkering is gorgeous and the double dogleg is reachable in two but requires a pair of fantastic shots to climb the hill and find this elevated green. Birdie Time: 2nd Hole – 389 Yard Par 4 – While the second hole can be difficult because it plays to an elevated green, it is a sub-400 yard par four that doesn't require driver off the tee and plays to a very flat green. With a green this flat there is always a good chance of dropping a putt from long distance. Bogey Beware: 15th Hole – 478 Yard Par 4 – This uphill dogleg left hole is tough in every sense of the word. The hole doglegs late so there is very little distance you can cut off on this long hole that features a tight fairway and the most difficult approach on the course. The green slants hard from back-left to front right and the putting surface is virtually blind from the fairway below. 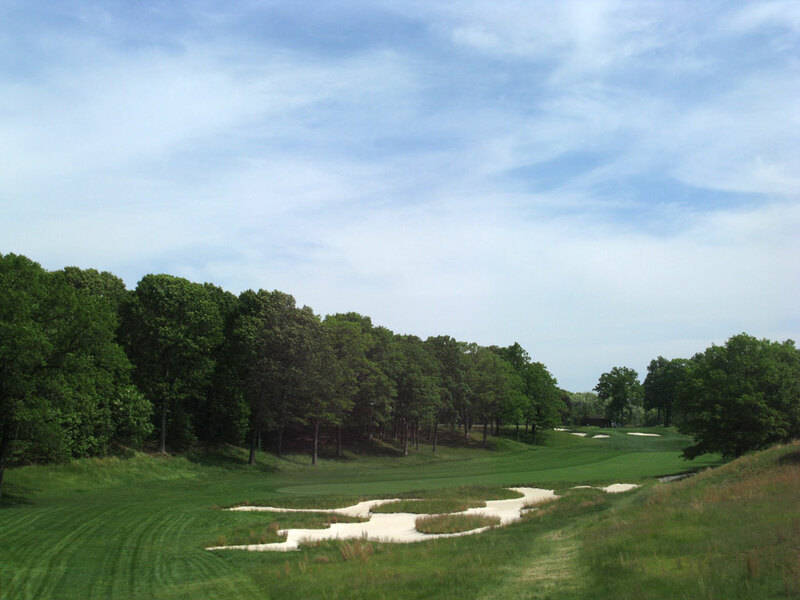 If you miss the fairway and find Bethpage's notorius deep rough, just pray that bogey is all the worse it will get for you.